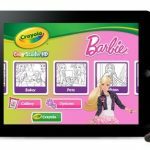 Crayola Barbie and Crayola Hot Wheels are $3 coloring books for the iPad with animations, music and sound effects. 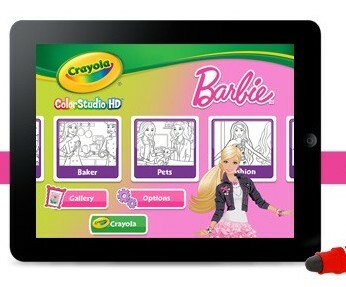 Both apps work with the Crayola iMarker from Griffin Technology, a $30 stylus that looks and feels like a crayon. It’s not required, but the iMarker stylus prevents unwanted finger smears on the screen. Khan Academy can teach you science, math, history and programming. Programming may be especially useful. We recently read an op-ed by the former chief of Time Digital who said he wouldn’t hire anyone who didn’t know a bit about programming, such as in the “Python” language. (If you want to Google it, the article is titled “Sorry, College Grads, I Probably Won’t Hire You.”) The Python tutorials at Khan Academy are great. To add free Windows 8 apps, go to the Windows 8 store. To find the store, hover on the top right or bottom right side of any Windows 8 screen until you see the search icon; it’s a little picture of a magnifying glass. Type “store.” Hover to the right a second time and click “search” to search the store. This time type what you’re looking for.